If you ask Fire Prevention Canada, they will say winter is the hands-down worst season for home fires. Of course, it is only natural to think a home fire will never happen to you. But home fires continue to occur all year, every year (and even more often in the fall and winter) to people just like you. We have to assume that every home fire victim would have chosen to take more precautions earlier on had they known they were at risk of experiencing a home fire. But life can get pretty hectic during this time of year, what with back to school season and then a series of holidays and the start of a new year, and it is so easy to forget. This timely post will review furnace and fire safety tips that can protect your family from a devastating home fire this winter season. Do you ever do the following things? Smoke in bed or while lying down on the couch? Forget to blow out candles? Run several loads in the dryer before cleaning out the lint trap? Neglect to check the date on the fire extinguisher? Place space heaters or candles in locations where kids or pets could reach them, or in areas where clutter exists nearby? Run space heaters throughout the night even while you are asleep? Store flammable liquids (gasoline, paint, etc.) inside your home? Fail to put the fire gate up when using your fireplace (gas, electric, or wood)? Use equipment that has a frayed electrical cord? Plug extension cords into extension cords to power multiple devices from a single outlet? Run extension cords underneath fabrics such as furniture or rugs? Ignore fuses that blow repeatedly by simply resetting them again and again? Not run safety checks to ensure your smoke alarms and carbon monoxide detectors are operational? Use open flame equipment (BBQ grill, blow torch, butane lighter, etc.) inside your house? As you may have guessed, each one of these actions can quickly lead to a lethal home fire. Yet each one of these actions, and more besides, takes place each year inside of homes all across Canada. Reviewing this checklist at the start of the cold season can be a great family activity. An even better idea is to assign responsibility for each safety check to each family member in turn, so that the checks continue to happen all winter long. If one family member sees a potential home fire risk, that family member can then alert the others so the problem is resolved quickly. According to the Canada Safety Council, the kitchen is by far the most dangerous room in your home in terms of home fires. In other words, statistically speaking, more winter season house fires begin in the kitchen than in any other room in the house. The main reason for this is—no surprise here—cooking. The No. 1 cooking culprit is deep frying, but any kind of cooking that requires use of the stove or oven can easily become a fire safety risk. If you deep-fry foods regularly, the safest appliance by far is a CSA (Canada Standards Association) electric-powered deep fat fryer. However, frying with a saucepan or frying pan is still very common. Here, the safest route is to heat the frying oil as slowly as you possibly can to reduce the risk of grease fires. Grease fires must be extinguished with a fire extinguisher. For a small fire, baking soda dumped directly on top of the flames can also work. If the fire is inside a pan or pot, quickly covering that pot with a secure cover can also help to extinguish the flames by cutting off the fire’s oxygen supply. Develop a family fire escape plan with two possible exits and a meeting place outside your house. Post this plan and practice it. 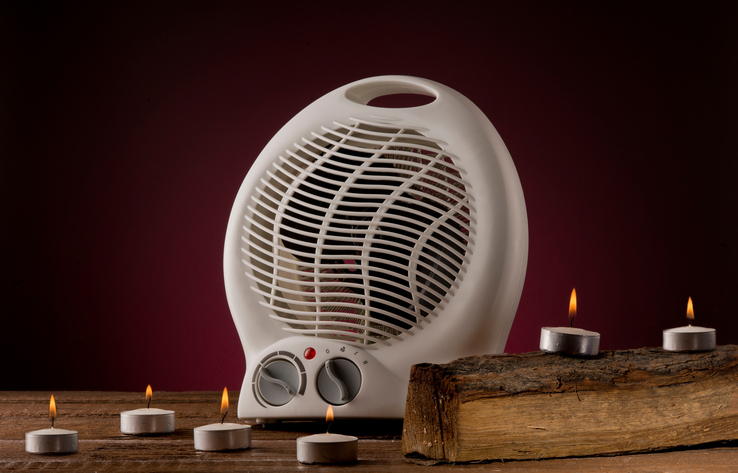 The two most common appliances used to heat Canadian homes are the furnace and portable heaters. Each can be efficient and cost effective if used properly. But every week during the winter season, an estimated eight people die due to fires, and three-fourths of these tragic fatalities can be traced back to home fires. So clearly, not everyone knows what to do to operate furnace and heaters safely! Schedule your annual furnace inspection and maintenance check right away. Clear away a three-foot (1-meter) space around the entire furnace for safety. Designate an area in each room where a space heater can be operated. This area should have a three-foot (1-meter) area of clear space all around it. Be sure the heater cord is not frayed or torn. If your household includes children or pets, place a safety gate around the heater. Here at Shipton’s Heating & Cooling, we stay quite busy each fall visiting clients to do furnace and heater safety inspections and maintenance. 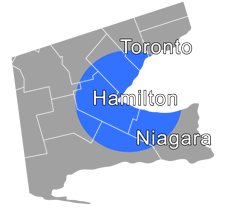 Give us a call to schedule at 905-549-4616 or book online here.